How many of us think, “coffee, coffee, coffee” when we wake up? For me, if it’s not coffee then it’s another type of beverage (like matcha or a chai tea). Something that I’ve been drinking a lot these days is bulletproof lattes. 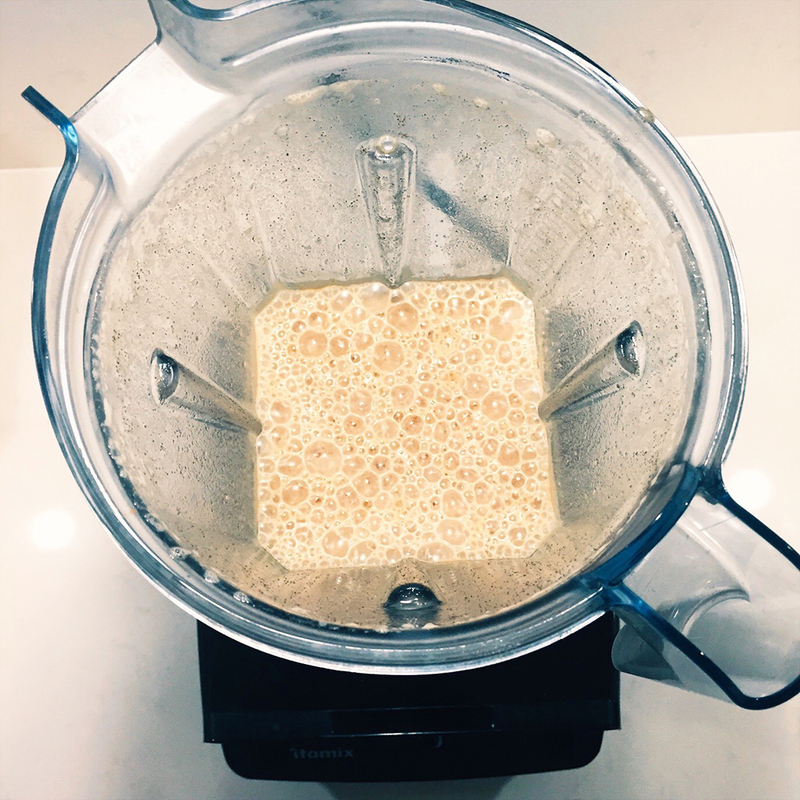 Traditionally, bulletproof coffee is blended with grass fed ghee or butter, and MCT oil. Bulletproof drinks boast optimal brain function, increased energy levels, and fat burning techniques. If I’m not in the mood to drink coffee, I’ll use matcha or chai tea instead. 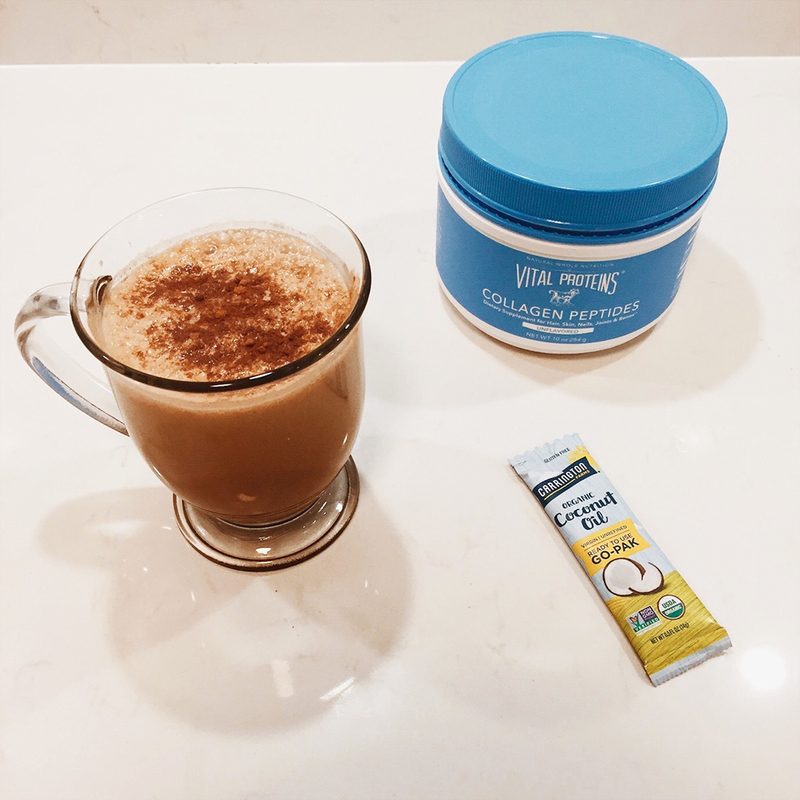 I always add coconut or MCT oil, add tons of cinnamon (helps regulate blood sugar), a tiny bit of stevia, a splash of nut milk, and a scoop of collagen peptides to promote gut health, shiny hair skin and nails, and not to mention, a serving of Vital Protein’s collagen peptides has 10 grams of protein in it. I’m not typically hungry in the morning and that’s why these lattes are my go to. 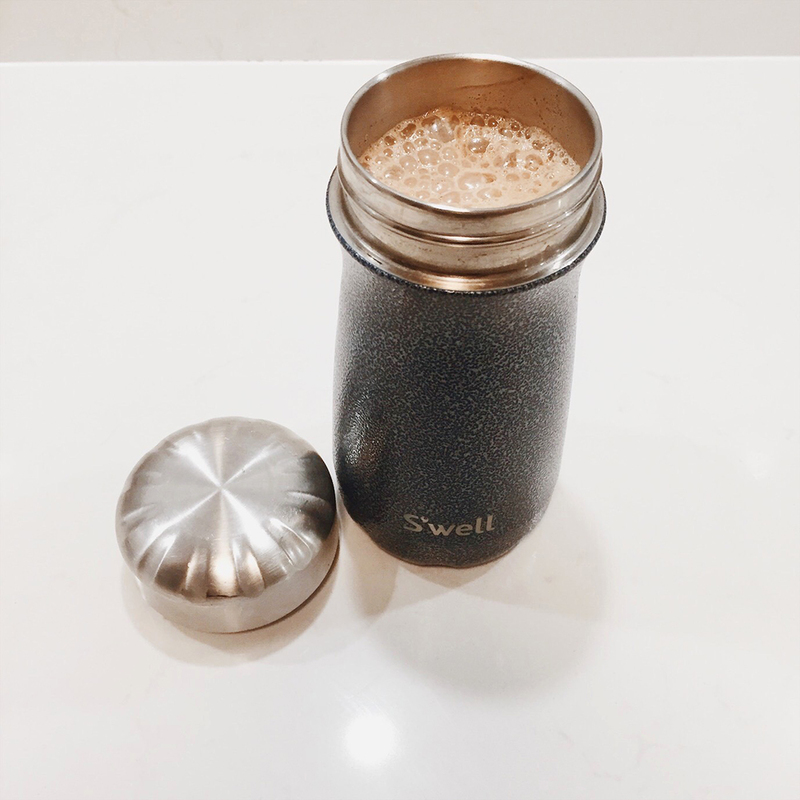 If I have a busy morning I’ll be sure to take it to go in a vacuum-sealed tumbler (I love the company S’well). Adding some quality fats to my morning drink helps me focus, stabilize some hunger hormones, and feel satisfied until lunchtime. 1. First, measure out how much coffee, matcha, or chai tea you want and directly poor it into a blender. (If you don’t have a blender you use a whisk, a milk frother, or a simple shake bottle). 2. Next, add in your heated nut milk. 3. Next, add a tbsp of coconut oil. 4. 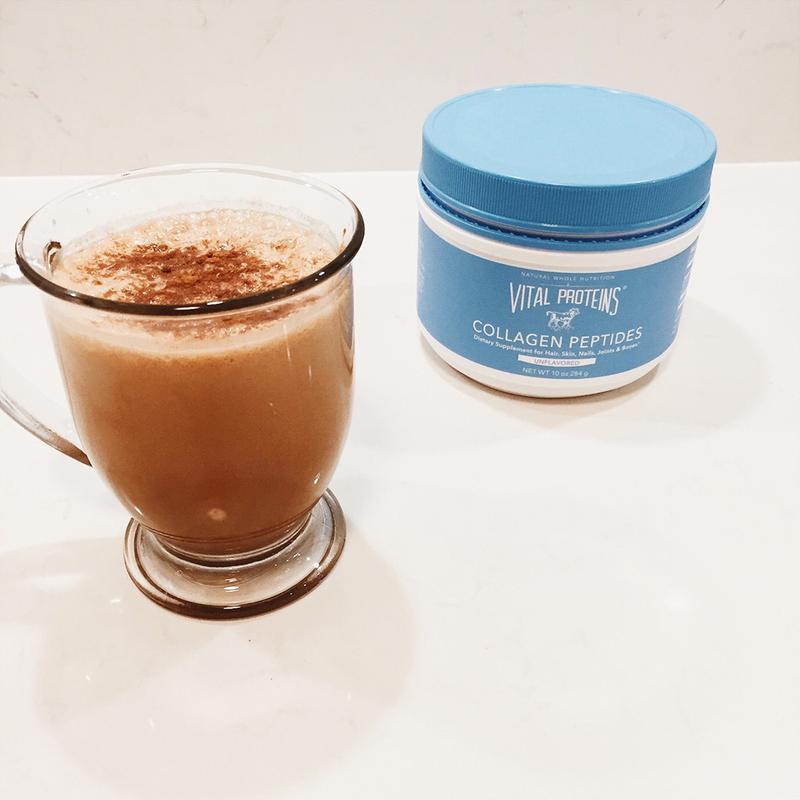 Next, add a scoop of collagen powder. 6. Add some stevia if you want to make it a bit sweeter. 7. 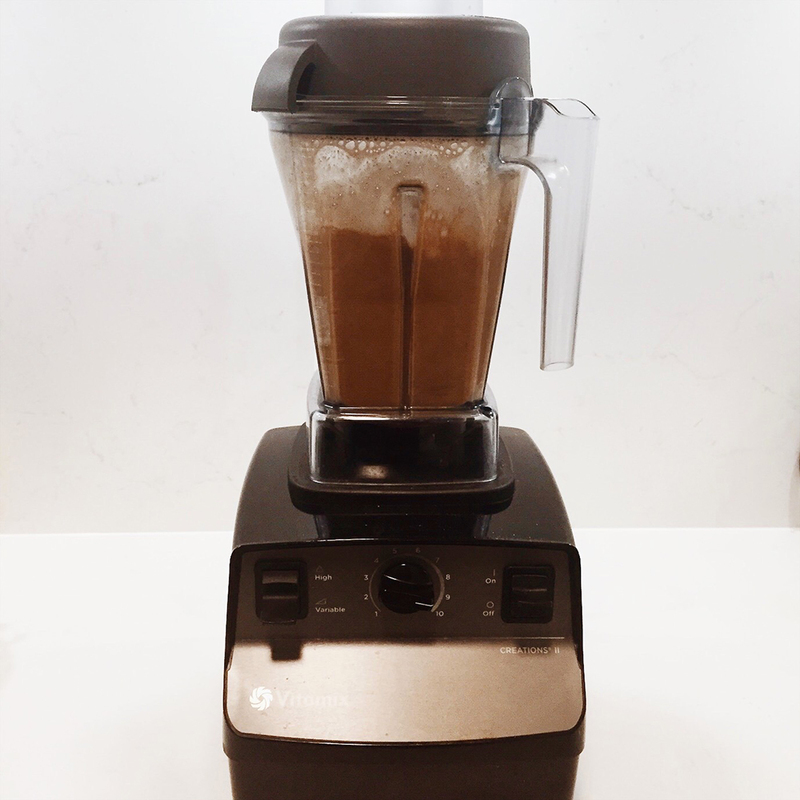 Secure your lid on your blender and blend well for about 2-3 minutes. 8. Pour into a mug or travel tumbler (I like S’well) and enjoy!